Communication studies professor J. Nikol Jackson-Beckham continues to receive national recognition for her research on the craft brewing industry and her role as the first diversity ambassador for the Brewers Association. Most recently, her work inspired the creation of a new beer at a Charlottesville, Va. brewery. 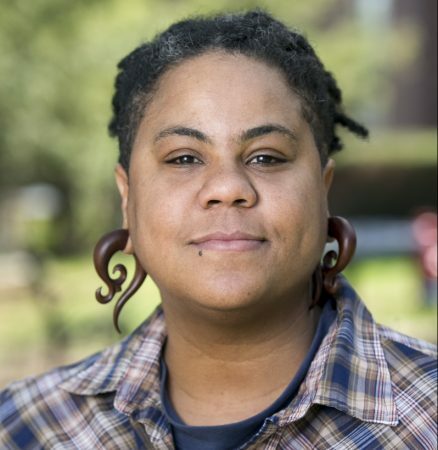 In December, Jackson-Beckham published a research-based article in Good Beer Hunting, a multi-platform publication that “explores and creates a wide variety of differentiated narratives within the world of beer.” The article was about her efforts to uncover a brewing tradition among enslaved Americans. As a result of that publication, Good Beer Hunting and Champion Brewing Company in Charlottesville, Va. collaborated with Jackson-Beckham to create a new beer inspired by the article. The beverage called “Intelligence and Diligence” was brewed earlier this month and will be released at a special event Feb. 22. Read more at http://bit.ly/2DLUwUF.